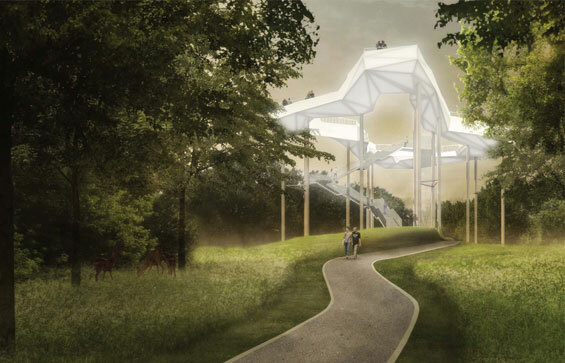 The landscape architectural design competition for the IGA Berlin 2017 has been won by geskes.hack Landschaftsarchitekten and VIC Brücken und Ingenieurbau designing one of the largest open space projects in Berlin. The landscape design is for a unique new park landscape is to be built over an area of more than 100 hectares. Beginning with the Gardens of the World, the park landscape will reach out to Kienberg hill and parts of the expansive Wuhletal valley. The purpose of this competition, which IGA Berlin 2017 GmbH staged on behalf of the federal state of Berlin, was to find ideas that could translate the framework concept of IGA into an attractive spatial setting. IGA Berlin 2017 is a 170-day long garden festival will show the diversity of garden art, landscape design and culture. 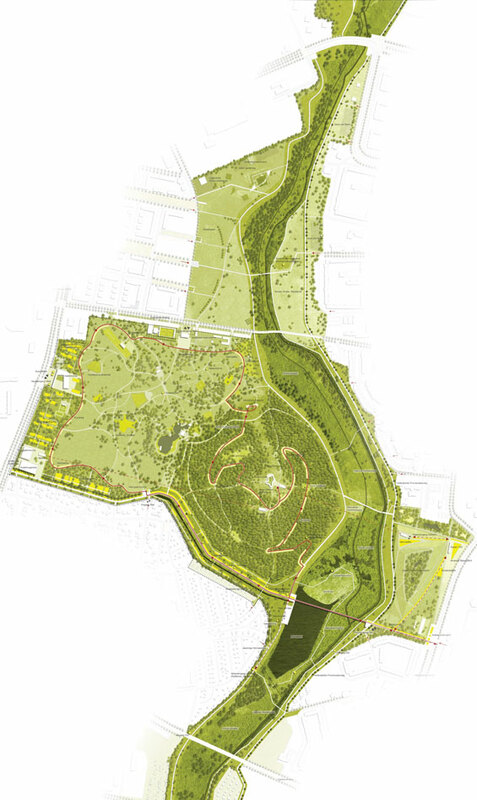 With this concept, for instance, Kienberg hill is to be developed into ecological urban woodland with space for different sports while projects are to be initiated to interpret nature in the Wuhletal valley. 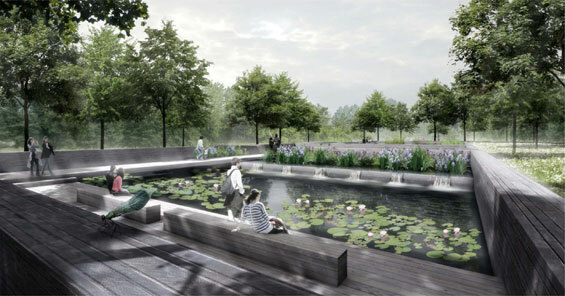 As part of IGA, the size of the Gardens of the World area will be doubled and contemporary examples of garden and open space design will be added. An ambitious and innovative design, both for the landscape area and for the structures, scenically interesting implementation of the IGA concept, environmental compatibility and sustainability of the project as a whole as well as economic efficiency were the key evaluation criteria for the entries. Entries were received from 26 international offices. Each of the teams was made up of landscape architects and civil engineers. The international jury headed by Prof. Ariane Röntz unanimously chose the design entry from geskes.hack Landschaftsarchitekten (Berlin) and VIC Brücken und Ingenieurbau (Potsdam). With a view to architectural issues, the winning team was advised by the Berlin-based planning firm of Kolb Ripke Architekten. The prize for second place went to Planorama Landschaftsarchitektur (Berlin) in co-operation with SFB Saradshow Fischedick Berlin Bauingenieure, Berlin. 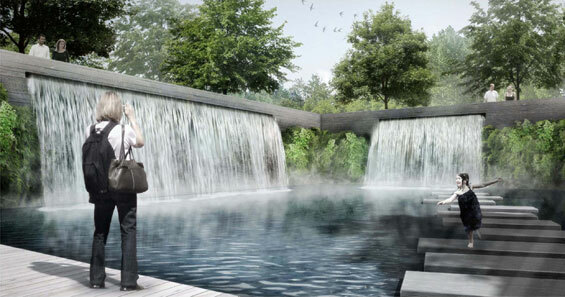 The winning design impressed the jury with its “coherent overall concept” that merges the individual landscape areas to form a “logically consistent ensemble” and reflects the commitment to sustainable urban development. In the coming months, the winning design will be specified in more detail and prepared for implementation. The main construction phase will begin in 2015. During this time, a showcase with exciting events will explain how construction is progressing. But the first milestones are already visible today: The competition for the visitor centre in the Gardens of the World has already been decided and construction work is already underway for the English Garden.